These pre-owned Definitive Technology BP2006 Bipolar Array Speakers have been tested and are in good condition. The center is funded solely by the sale of donated goods. We will do our best to provide you the information you are looking for. Definitive Technology BP-2X Surround Sound Speaker Pair. · We operate in Ocean County, New Jersey. You can rest assured that your order will make it there in one piece. You must also ask for a quote before purchasing. Condition is near mint/Used. That's followed by sound from the rear drivers, which is slightly delayed, to enhance spaciousness. The BP7006's slim cabinet takes up less than a square foot of floor space, yet its bipolar design produces twice as much sound in your room as a conventional speaker. 4.5 out of 5 stars - Definitive Technology BP7006 Floor Standing Speakers (black, Pair) - EXCELLENT!! 12 product ratings12 product ratings - Definitive Technology BP7006 Floor Standing Speakers (black, Pair) - EXCELLENT!! Model: BP9000. 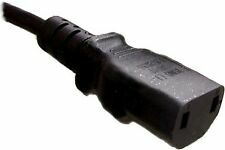 Easy to connect and remove from your BP9000 speaker. High-performance height speaker module: 86 Hz - 22 kHz. Sloped speaker baffle and exclusive foam construction provide amazing richness and depth. 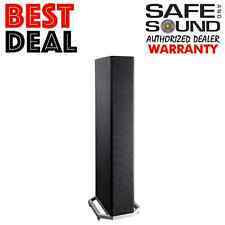 Definitive Technology - BP-8020ST 3-1/2" Floorstanding Loudspeaker (Each) Black! SuperTower 3-1/2" Floorstanding Loudspeaker (Each). Tweeter Size. SUBWOOFER SCREWS COVER PAPER RING LOOSED. Tweeter Material. Speaker Type. Definitive Technology. Speaker Wire Included. Sorry, No Exceptions. The unique dispersion pattern from these Definitive Technology bipolar speakers creates enveloping sound that lets you feel like part of the action. Balanced Double Surround System improves driver excursion which results in the selected driver producing bass output usually associated with a larger driver while retaining the improved dispersion and midrange definition of a smaller driver. The 9080X is often regarded by audiophiles as the premier speaker option in its class. You will likely receive a response in minutes. Up for sale is Definitive Technology BP-2X Black Bi-Polar Surround Sound Speaker -28. Definitive Technology. surround channel speakers. Definitive Technology Bipolar Surround. Speaker System Type. SPEAKER SYSTEM. Definitive Technology High-Performance 8" 3-way Tower Speaker. Manufacturer: Definitive Technology. Condition :Used! ( Visibly used item, will have scratches/scuffs. Speaker and Power cable only, No stand included! ). The BP9080x also sports an integrated upward-firing Atmos speaker with a 1" tweeter and 5.25" midrange. Definitive Technology BP9080x 3-Way Floorstanding Speaker with Integrated 12" Powered Woofer and Atmos Speaker (Single). 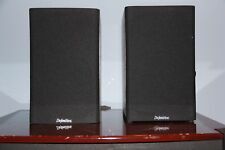 Pair of gently used Definitive Technology BP-2 Surround Sound Speakers. Mounting brackets are included. One speaker has shallow holes in the side where mounting brackets where moved - see picture. Definitive technology SR 8040bp Surround Speakers. Condition is New. Shipped with USPS Priority Mail. SuperTower 3-1/2" Floorstanding Loudspeaker (Each). Tweeter Size. SUBWOOFER SCREWS PAPER COVER RING LOOSED. Tweeter Material. Speaker Type. Definitive Technology. Speaker Wire Included. Sorry, No Exceptions. About the BP7002 Right-channel bipolar supertower (the left-channel BP7002 supertower is needed to make a pair). If you love great sound you must experience the magic of Definitive’s BP7002 Bipolar SuperTowers. Definitive Technology BP10B Floor Standing Speakers. Condition is New. Shipped with USPS Parcel Select Ground. The impedance of the Definitive Technology rear speaker is 8 ohms and its sensitivity is rated at 91 dB. The device is finished in a sleek, piano-gloss black, with a wraparound speaker grill to protect the drivers. BiPolar Super Tower. Definitive Technology. Subwoofer Leve l. (The speaker is in good condition but the top has a few light scratches and tape marks we were unable to remove). LED Backlit Definitive Technology Logo to highlight the integrated powered subwoofer and show that your speaker is receiving a signal, we’ve added an LED logo at its bottom front panel. Balanced Double Surround System improves driver excursion which results in the selected driver producing bass output usually associated with a larger driver while retaining the improved dispersion and midrange definition of a smaller driver. Definitive Technology BP6B Floor Standing Speakers. Condition is Used. Shipped with USPS Parcel Select Ground. Furthermore, this bipolar system is a low-distortion system that is perfectly compatible with other high-quality speaker systems. What's more, the piano-gloss black finish in this Definitive Technology speaker system gives any room a touch of elegance. definitive technology uiw Bp/a. Shipped with USPS Priority Mail. Definitive Technology BP9040 Floorstanding Speaker with Integrated 8" Powered Woofer (Single). 8" Powered Woofer. There are several holes in the cloth grille (see photos). This item is in "Used- Acceptable Condition" - Item shows signs of heavy use. This is what obsession sounds like. DEFINITIVE TECHNOLOGY BP-9060 (EACH). (1) 10” woofer and (2) 10” bass radiators. LED Backlit Definitive Technology Logo. Integrated 10” powered subwoofer and dual bass radiators. We cater to music enthusiasts and audiophiles, and we love what we do. We design audio systems for all budgets, from entry-level to high-end. Mounting bracket installed. For use with LX5. Frequency Response: 50Hz-28 kHz. Definitive Technology BP8 Main / Stereo Speakers. Condition is Used. Local pickup only. Definitive Technology BP9040 Floorstanding Speaker with Integrated 8" Powered Woofer (Single). 8" Powered Woofer. This item is in "Used Condition" - Item shows several signs of previous use. Item has been fully inspected, tested, and works great! The amp I replaced is for the younger sibling ( bp7006 ). Only difference is the marking of "BP7006" instead of " BP7002". There is a very small dent on top of the wood finish. You will barely notice it. This pair of floor standing speakers are in a good working condition. FOR LOCAL PICKUP ONLY! These are a used pair in nearly new looking shape. Well cared for! Tower speaker only. Holes on the fabric, spots, missing stand. You will get what is shown on the pictures. This is what obsession sounds like. DEFINITIVE TECHNOLOGY BP-9080X (EACH). DEFINITIVE TECHNOLOGY BP-9080X FLOOR STANDING SPEAKER (EACH). (1) 12” woofer and (2) 12” bass radiators. LED Backlit Definitive Technology Logo. Model BP9020. Definitive Technology. BIC Acoustech PL-200 12" 1000 Watt Powered Subwoofer. Tower Speakers. Center Channel Speakers. NO MANUFACTURER WARRANTY. Your product will arrive in an unopened box, never used, never refurbished. Definitive Technology BP9040 High Performance Tower Speaker (Pair) 2 units. Condition is Used. See photos for scratches my cat made to the cover of the speaker. Boxes are available. Local Pickup Only! Definitive Technology BP6 Tower Loudspeaker (Single, Black). Authorized Dealer! Definitive Technology BP6 Tower Loudspeaker (Single, Black). Authorized Dealer! Definitive Technology BP6 Tower Loudspeaker (Single, Black). Manufacturer: Definitive Technology. 100% Authorized Dealer. 5 out of 5 stars - Definitive Technology BP6 Tower Loudspeaker (Single, Black). Authorized Dealer! 6 product ratings6 product ratings - Definitive Technology BP6 Tower Loudspeaker (Single, Black). Authorized Dealer! Model: BP1.2X. Unit: Pair. We want to focus on the special abilities of these extraordinary individuals. About Goodwill of Silicon Valley: Founded in Santa Clara County in 1928, Goodwill of Silicon Valley (GWSV) is part of Goodwill Industries International, a federation of over 200 autonomous, community-based Goodwill organizations worldwide. This is what obsession sounds like. DEFINITIVE TECHNOLOGY BP-9080X. DEFINITIVE TECHNOLOGY BP-9080X FLOOR STANDING SPEAKERS (PAIR). Floor Standing Speakers. Architectural Speakers. Bookshelf Speakers. Unit: Pair. We want to focus on the special abilities of these extraordinary individuals. About Goodwill of Silicon Valley: Founded in Santa Clara County in 1928, Goodwill of Silicon Valley (GWSV) is part of Goodwill Industries International, a federation of over 200 autonomous, community-based Goodwill organizations worldwide.